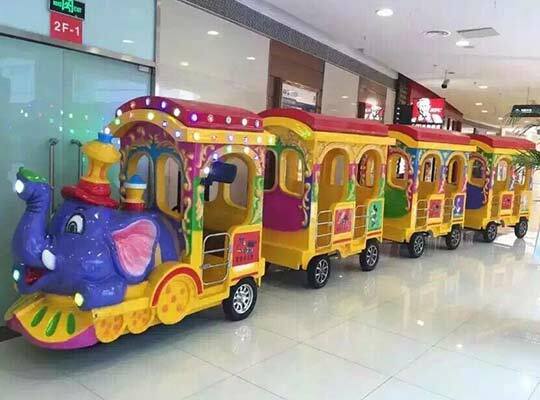 Electric trackless train for kids is a kind of small tourist trains, which is popular in shopping malls, large shopping center, and recreational area, walking street, parks, playgrounds, Community Park, zoo, amusement parks, theme parks, and so on. It belongs to the road-going miniature train rides without track and the main function of this park rides is to carry passengers to anywhere they want. The trackless train rides is often composed of the locomotive in front which pulls several carriages. The motion of this kiddie train rides are mainly driven by the electric motor. As for this small trains, there are different names: tram in U.S. English; trackless trains and parking lot tram in in North America; road train, land train, Dotto train or Choo-Choo train in Europe. No matter what people call it, almost people of different age ranges cannot refuse to ride on the trains when they are on the parks, including the kids, the teenagers, the adults and the old. When riding on the small train rides, passengers not only can appreciate the beautiful and various scenery in the whole parks quickly, but also it can make your family travel more comfortable and happier. 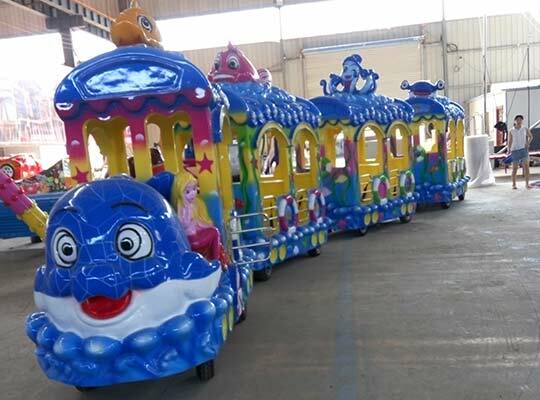 Beston group has exported various amusement park rides around the world and a lot more customers’ responses that they fairly love the electric trackless trains for sale in Beston. 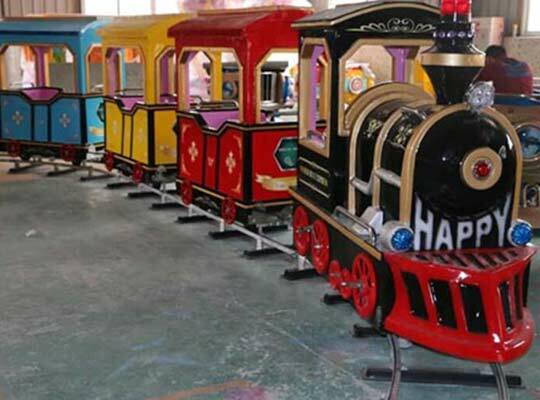 There are many customers purchasing amusement park trains from Pakistan in Beston. And our company has developed a long term business relationship with them and they will constantly buy various theme park rides and inflatables from Beston. The amusement trains are specially designed for the city tour and sightseeing purposes. So, we often call it tourist trains or tourism trains. 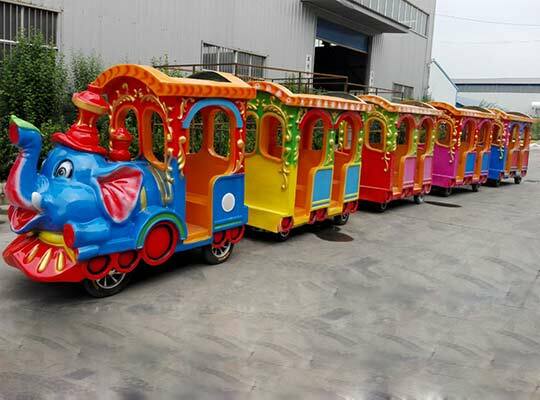 As for the kiddie trains without track, there are two kind of hot sale kiddie trains from Beston according to the manufacturing materials: the fiberglass trackless trains and the solid wood trains. Both two trains for kids have the advantages of very maneuverable, environmentally friendly, corrosion resistance, and unique design, advanced technology and powered by an electric motor. They are ideal for indoor or outdoor malls, cities, towns, resorts, amusement parks and so on. 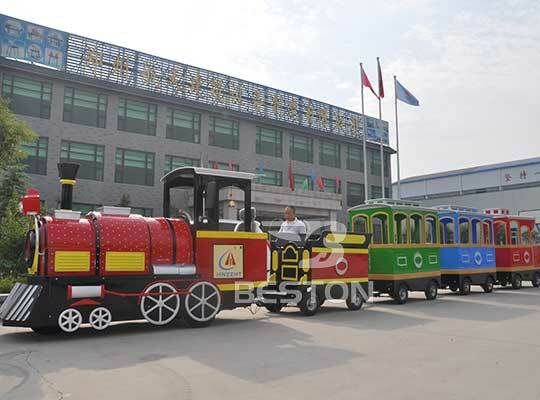 What’s more, Beston kiddie trackless trains can be powered by battery or diesel, and the electric train rides can run 6 to 8 hours after charging 8 hours, which can meet the demands of most customers. 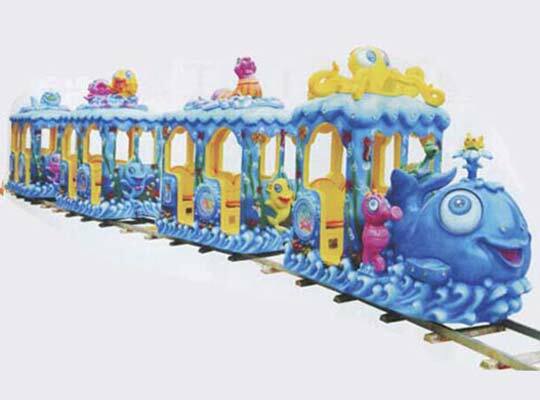 The kids train ride is made of fiberglass reinforced plastics (FRP) and equipped with gorgeous lighting, great music, Non-fading and durable painting, making it high quality, attractive and last long. 1. Application areas: shopping malls or large shopping center, and recreational area, walking street, parks, playgrounds, Community Park, zoo, amusement parks, theme parks and other places. 2. It is mainly composed of a locomotive and 4 to 6 carriages, which can hold 16 to 20 children and adults. Some customized trains can be accommodate more according to your demands. 3. Environmental protection: the raw materials is FRP, durable and corrosion resistance painting, the mini train with simulated smoke steam spray device makes it let out little smoke, etc..
4. The fiberglass reinforced plastic and international grade super quality steel make the structure of land train rides more firm, durable and steady and can be resistant to any corrosion and the bad weather. 5. The road trains in Beston has high climbing capacity and can run along some hilly or mountain areas. 6. Steering wheel adopts the hydraulic power control, the wagon brakes is controlled by the pneumatic-hydraulic converter and the control of coach braking is pneumatic circuit. 7. Beston has our own factory in Xingyang City, Henan Province, China and all our products are brand new and pass the strict quality control before leaving the factory. 8. 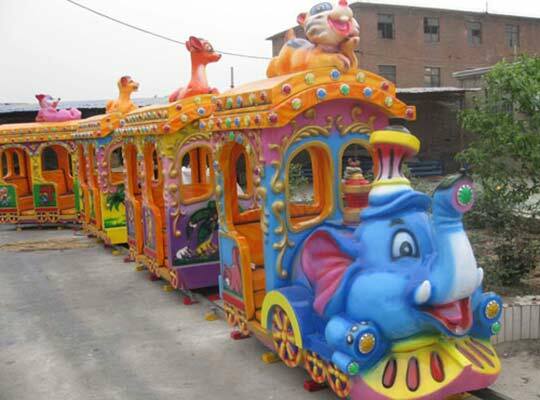 If you have any other requirements, like the size, the colors, and the decoration and so on, we can customized the unique amusement park rides for our customers. What’s more, Beston amusement also offers the amusement park trains for sale at lower prices. 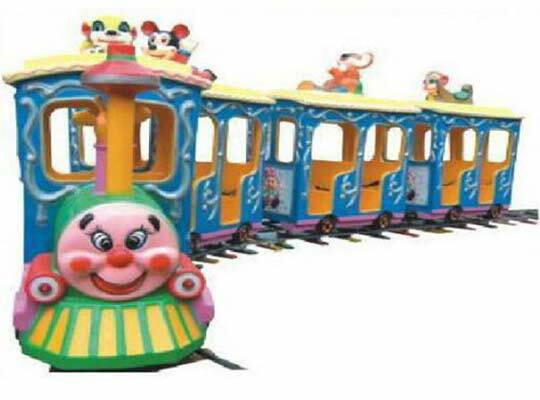 And, the amusement park trains with track is just like the real regular trains and also very popular in parks, backyard, and indoor and outdoor family center. The track can be made in different types. The big elephant miniature track trains are fairly popular among children. Beston supplies various electric trackless trains with different capacity and different models for customers all over the world. There must be one can satisfy you. If not, we can customize the trains. The small trains you can ride for kids are necessary park equipment for a theme park. Whenever you plan to purchase one, feel free to contact us now.